Karl Marx invented communism. Sort of. 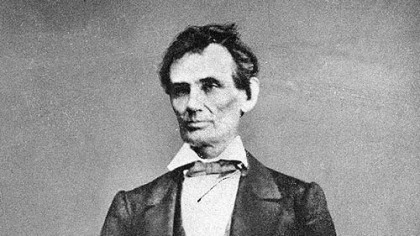 Abraham Lincoln freed the slaves (not because he actually thought blacks were equal to whites, but because he thought “live and let live, right bro?”). So what the hell were these two writing to each other about? Apparently slavery, and how it sucked. And thank god the North won, because Europe was really missing their cotton. Marx tells Lincoln that the laborers in Europe have been patiently waiting out the “hardships imposed upon them by the cotton crisis” in support of their enslaved comrades. You can find the whole exchange here from Marxists.org. There is also an entire book, “An Unfinished Revolution,” about Marx’s and Lincoln’s letter exchanges. Whether or not the book encompasses more than these 2 letters is vague. The description reads. Karl Marx and Abraham Lincoln exchanged letters at the end of the Civil War, with Marx writing on behalf of the International Working Men’s Association. Although they were divided by far more than the Atlantic Ocean, they agreed on the urgency of suppressing slavery and the cause of “free labor.” In his introduction Robin Blackburn argues that Lincoln’s response to the IWA was a sign of the importance of the German American community as well as of the role of the International in opposing European recognition of the Confederacy.